Arrowroot cookies: This food is low in water, total dietary fiber and total sugars but Arrowroot cookies has food energy, carbohydrate and thiamin in high quantity. Pretzels: This food has a low quantiti of water, total lipid and manganese but has a high quantity of carbohydrate, thiamin and folate, total. 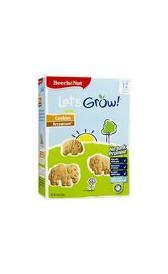 Teething biscuits: High in carbohydrate, calcium and riboflavin and low in water, manganese and vitamin b12. Zwieback: Zwieback is high food energy, carbohydrate and selenium. On the other hand. is low in water, calcium and iron. Junior cherry cobbler: In this food there are some nutrients that are found in low quantity, for example protein, total lipid and ash. Apple and grape juice: In food has a low quantity of protein, total lipid and ash. Apple and cherry juice: High in vitamin c and low in food energy, protein and total lipid. Mix junior vegetables: This food is low in food energy, protein and total lipid but Mix junior vegetables has vitamin a, alpha-carotene and beta-carotene in high quantity. Mix strained vegetables: This food is low in food energy, protein and total lipid but Mix strained vegetables has vitamin a and beta-carotene in high quantity. Junior beef noodle dinner: Junior beef noodle dinner is low in total lipid, total sugars and calcium. 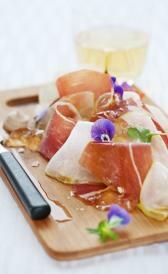 Strained apples with ham: In food has a low quantity of total lipid, ash and calcium. Strained carrots and beef: This food is low in total sugars, calcium and iron but Strained carrots and beef has vitamin a, vitamin a and alpha-carotene in high quantity. Apple-sweet potato juice: This food is low in protein, total lipid and ash but Apple-sweet potato juice has vitamin a and beta-carotene in high quantity. Orange-carrot juice: In this food there are some nutrients that are found in low quantity, for example food energy, protein and total lipid. Peas and brown rice: In this food there are some nutrients that are found in low quantity, for example total lipid, calcium and sodium. Toddler carrots: High in vitamin a, vitamin a and alpha-carotene and low in food energy, protein and total lipid. Strained tutti frutti: In food has a low quantity of protein, total lipid and ash. Junior tutti frutti: Junior tutti frutti is low in protein, total lipid and ash. Chicken and rice dinner: In this food there are some nutrients that are found in low quantity, for example protein, total lipid and ash. Pear juice: In food has a low quantity of protein, total lipid and ash. 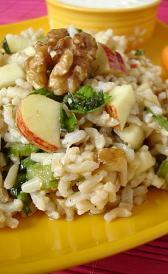 Dry rice and apples: Dry rice and apples is high carbohydrate, calcium and iron. On the other hand. is low in water, sodium and manganese. Apple - cherry juice: Apple - cherry juice is low in protein, total lipid and ash. Peach yogurt dessert: In this food there are some nutrients that are found in low quantity, for example protein, total lipid and total dietary fiber. Fruit supreme dessert: In food has a low quantity of protein, total lipid and calcium.